Let Siretta route you to your next connectivity solution by clicking here! An obvious statement perhaps - but in remote areas signal strength is often an issue. Additionally, base station capacity will present many of the same problems in built up areas as the volume of LTE connected equipment grows. The Siretta SNYPER cellular signal analysers have been designed to assist field engineers in achieving reliable GPRS, UMTS and LTE connections when deploying remote cellular equipment. UNTIL recently the hottest topic was Big Data, now it appears to be the Internet of Things (IoT). Media driven hype, speculation, optimism, pessimism, and wild projections seem to rule. So, is there an actual need and a real IoT market? Will it all operate over 5G? And will we run out of wireless spectrum when we have more than 50 billion things on line? The answers have to be YES, NO and NO, and here are the reasons why. Make sure you follow our YouTube page, new videos coming soon! Fed up of constantly losing mobile signal? Determine the best network signal strength in your area with the SNYPER-3G. Never stress about your phone signal again! It is 3.53pm... which means there are just over 17 hours left until Global IoT Day! What connected things will you be speaking about?! What did you do yesterday? Siretta exhibit at Arrow training event. We nipped to Munich for the day to exhibit our Siretta products at an Arrow Training event! Below is a picture of our stand. Looks good... doesn't it? Looking for a signal strength analyser that can give you live network scans? Real time signal strength scans wherever you are with the Siretta SNYPER-3G Spectrum! Happy Easter! Wishing you a very happy Easter break from Siretta! The team here at Siretta wish you a very happy Easter, full of lots of chocolate of course! Siretta Distributors Not sure who your local Siretta Distributor is? Click the following link to find out who your local distributor is! Happy 30th Birthday to our Parent Company! A big happy 30th birthday! Siretta quikCONNECT ZULU Modems combine 2G/3G/4G connectivity with the powerful ARM Cortex M4 based STM processor. System on a wireless module becomes reality, reducing development costs, time to market, and ultimately giving you the opportunity to increase performance and improve efficiencies. quikCONNECT ZULU’s advanced feature set provides many popular interfaces to develop solutions for remote monitoring, asset tracking & control. Internet of Things devices aren't new, just new to you. Internet of Things devices present some great opportunities for gathering and sharing critical information, but it's a challenge to turn that data into something usable. All of the Siretta team at a very busy IoT Expo in Olympia!!! The day has was full on competition on the 'Siretta Reaction Game', networking with lots of new (and old!!) clients and finding out about some very interesting projects people are working on! Overall, we had a great 2 days at the show! Here are the Siretta boys sporting the stand at the IoT Tech Expo at Olympia! Just 2 days left until we exhibit at the IoT Expo at Olympia! Our expertise in wireless technology has enabled us to build a broad M2M and IoT application base, but in addition, a relevant product range. We will be exhibiting our range of products at the IoT Expo Europe, Olympia on the 10th and 11th February. At the event, we will be demonstrating how our ZULU modem works in a cloud based application via our Reaction Game! The Reaction Game is a cloud enabled application that runs on our ZULU product. Prizes will be up for grabs for the 3 highest scorers on both days of the IoT Expo. Whether your business already uses M2M connectivity or you would like to learn more about how IoT/M2M can benefit your organisation then come along to stand 26 at the IoT Expo Europe, Olympia on 10th and 11th February. Meet with Siretta’s technical engineers and find out how to add cellular network connectivity to your applications using Siretta’s advanced smart modems, signal testers and high performance antennas. Last week’s Consumer Electronics Show (“CES”) put a spotlight on Internet of Things (“IOT”) technology and its leading application, the smart home. The term Internet of Things was coined 17 years ago and has had a couple of waves of enthusiasm in the past. Has it now arrived? I’m skeptical because I don’t yet see the killer app. Gateway Electronics signed as key distribution partner! Siretta’s sales channel strengthens further with the appointment of Gateway Electronics. Siretta’s continuing focus on appointing high quality, well respected channel partners continues with the signing of Gateway Electronics. Active in the distribution of electronic components for over 15 years, Gateway, the Nantwich based distributor became up and running as a Siretta Distributor on Jan 1st 2016. Car Parking Payment Ever wondered how car park payment machines work? Click the link below to read how our modems are utilized in car parking machine applications! Nuance Mix brings voice control to any app, Internet of Things device. Nuance, the software company behind the Dragon dictation app, has announced a new platform dubbed Nuance Mix, which will allow developers to add language detection and voice control to their own apps, in addition to smart home and Internet of Things (IoT)-connected devices. Merry Christmas from Siretta Wishing you a very Merry Christmas and best wishes for the new year! Keeping up with the Star Wars Theme Lightsabre or Oscar 17? Click the link below to read more about our Oscar 17. Want to analyse signal strength in your area? 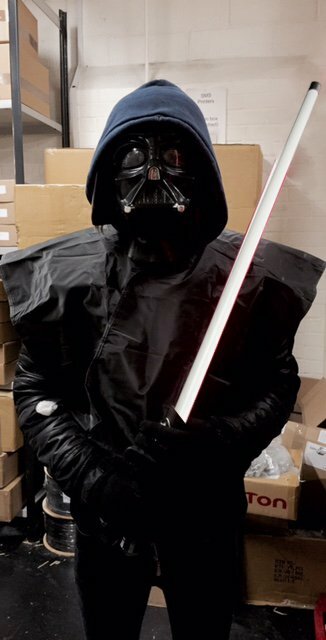 Don't rely on being on the Dark Side! 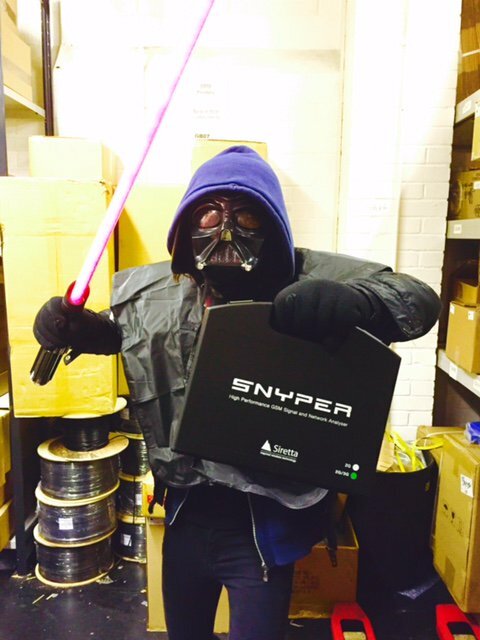 Use the force of the SNYPER and find optimum signal strength every time! Click the link below to read more about the SNYPER. Siretta Product Manager talking antennas, applications and connectivity. A Siretta Product Manager talking Modems and SNYPER's. Only 21 days until Christmas and the Christmas tree is up! We wouldn't have wanted anyone else to switch our lights on! Merry Christmas from everyone at Siretta! The IoE market is expected grow $23.97 trillion by 2020. The holidays are coming! The Christmas countdown has officially started here in the Siretta office! Here in the Siretta office we are extremely excited for the countdown to Christmas! Our advent calendar is up! We will also be decorating our tree this week and letting the Christmas festivities begin! Want to keep up to date? Click the link below to follow us on Twitter! Every solution provider has a client or two that needs to be educated in the latest and greatest technology. The Internet of things technology can propel a midsize business from managing to thriving. Click the link below to see a graphic that simply explains the Internet of Things. 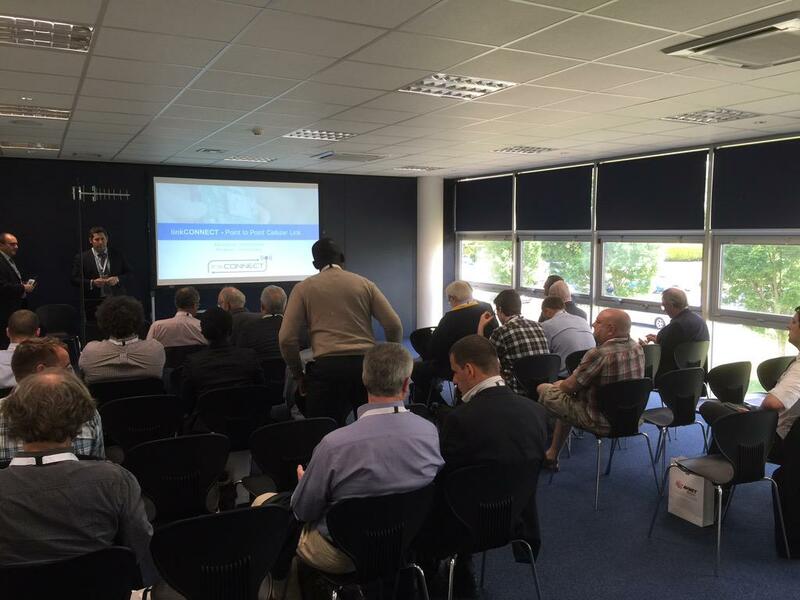 Arrow IoT Seminar - in Reading tomorrow! Pop by and see us! In the Reading area tomorrow? 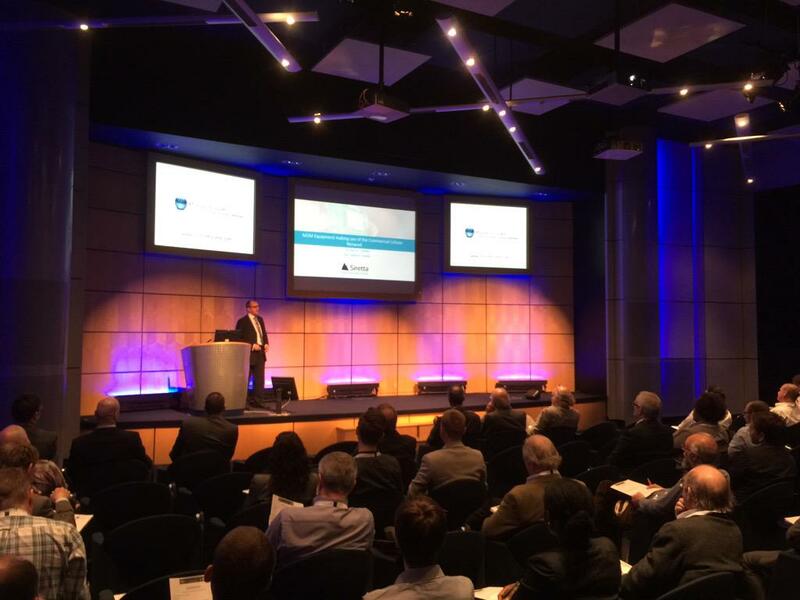 Pop by and join us at the Microsoft Campus in Reading, as Arrow Electronics host an insightful “Internet of Things” Event. The Siretta Boys heading up the Arrow IoT Seminar in Paris. Apparently one of them has really sore legs and the other is desperate for a croissant! Our airCONNECT antennas appeared in this months issue of CIE.
What does the 5G experience really mean for users, how will it be different from 4G, and what are the realities of its performance today? Unprecedented, exponential take-up of data and video services, fuelled by social media proliferation and the widespread availability of smartphones, has made 5G inevitable. Video today contributes to more than 50% of data transferred over 3G/LTE networks and the trends indicate further upward growth. Security, privacy and data management hold back the monetisation of IoT apps, but developers says 80% will generate revenue by 2018. Almost two-thirds of Internet of Things (IoT) applications in production today are generating revenue, new research had revealed. Developers expect this figure to rise to 80% by 2018, according to the study, which polled 675 application developers in the US, the UK, Germany, France, Sweden, the Netherlands and India. Last week, Thursday 5th November, the Siretta team exhibited at the Imperial War Museum in Duxford, Cambridge at the Arrow IoT Seminar. Munich Arrow IoT Seminar Our team at another Arrow IoT Seminar - this time in Munich. The Siretta team are exhibiting again! This time at the Arrow IoT Seminar in Munich. Showing off our range of quikCONNECT and routeCONNECT solutions, the Siretta team will be available all day to provide both sales and technical support to anyone who has questions! Although, we're not sure what looks better, the Siretta stand or the food stand?! The greatest innovation in social has yet to happen, but it will not be driven by free messaging, video or hybrid integrations – but by the Internet of Things. 'A platform needs to be created that incorporates all the data people care about, makes sense of it and presents it in a unified and simple way that is relevant to each individual'. The Internet of Things (IoT) is now a pretty mainstream concept, but when it was first mooted there were many that felt it was nothing more than a marketing ploy. 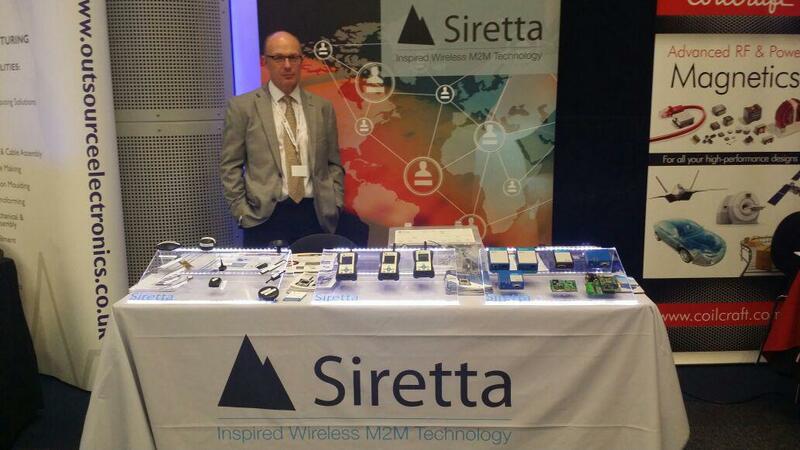 Today, the Siretta team are exhibiting at the Arrow IoT Seminar, Imperial War Museum - Cambridge. Showcasing our fantastic range of smart quikCONNECT modems, industrial routeCONNECT routers and our GSM signal analysers, the Siretta boys will be able to advise attendee's on any sales or technical queries they may have. Insurance companies will want companies to use strong protections against data breaches. In honor of Halloween, the Siretta team dressed in fancy dress to celebrate the occasion (yes this is not how we normally look)! The day was filled with fun competitions, spooky decorations and lots of sweets and chocolate! We'd like to give a big thank you to the whole team for getting involved and everyone who took part in making the day happen! The emerging Internet of Things is awash with confusing terminology. Last month I attended the IEEE Pervasive Computing 2015 and one of the interesting panel discussions revolved around the difference between Pervasive Computing and Cyber-Physical Systems (CPS). Clearly, there is overlap but there was no agreement on the extent of it. Please join us as Arrow Electronics host an “Internet of Things” Event at the Imperial War Museum in Duxford, Cambridgeshire. Siretta will be exhibiting modems and router products. Free energy from the air. It sounds like a fantasy but that is what the entrepreneur and former science minister Lord Drayson has just unveiled at London's Royal Institution. He claims that a technology called Freevolt can be the power source for the "internet of things", allowing low energy devices from wearables to sensors to operate without being plugged in. Back to the Future Day Cool technology that Doc Brown OR Marty McFly didn't predict! Doc Brown and Marty McFly travel into the future today! Although we don't have some of the cool technologies predicted from Back to the Future... We do have something even cooler! Siretta offer a great range of routers perfect for your application! Don't believe us? Watch our promo video to see why you should get one! Software-based machine learning attempts to emulate the same process that the brain uses. Here's how. More from the Siretta stand at the Arrow Conference. The day is almost coming to it's end! Thank you Frankfurt! Siretta, over the next few months will be attending various Arrow Conferences to show off their product offering designed for IoT applications. The first conference the Siretta team are attending is being held in Frankfurt, 15/10/15. Below is a picture of the Siretta stand at the Arrow Conference. Ultra Low Loss RF Cables from Siretta Blaming your antenna for low signal strength? Go low loss with Siretta! The LLC200A ultra low loss cable range from Siretta can improve signal quality by 30-40%* compared to a standard cable. Siretta LLC200A low loss cables are available with a range of high performance antennas or as an extension cable. Available in different lengths and the widest variety of connector types. Click the link below to read more about our low loss cables. * Improvement in signal quality may vary depending on frequency. Call us on 0118 976 9014 to discuss your application. Like the roaring 40's winds, our new 4G/LTE antenna range operate at top speed - but also operate well at all the other GSM frequencies. Offered in most of our mounting styles, the 40s Siretta antennas are principally high gain 4G and 3G. Tango 40/41, Delta 40/41, Echo 40, Oscar 40/41. Click the link below to view our 40's range 4G antennas. The M2M connections and services market in China to grow at a CAGR of 39.68% during 2015-2019; while the M2M services market in the country ill grow at a CAGR of 23.76% during the forecast period. A housing community in Beijing has introduced stair-climbing machines in old apartment buildings without elevators, in a bid to help the elderly move up and down staircases. The Donggaodi Community introduced the machines in late August, making it the first housing complex in Beijing’s Fengtai District to provide such a service. These days study into artificial intelligence research is no longer the preserve of universities - the big technology firms are also keen to get involved. Google, Facebook and others are busy opening AI labs and poaching some of the most talented university professors to head them up. Prof Yann LeCun is a hugely influential force in the field of Deep Learning and is now director of AI research at Facebook. 1. Where will it be deployed? 2. What will be powering it? 3. How do I get location services? 4. What data rate does the application require? 5. How do I get the lowest power consumption? We have written an article that answers these questions to help make your modem selection quick and easy. Click the link below to read it! Siretta’s thirst to appoint high quality, well respected channel partners continues with the signing of La Tecnika Due in Turin. Active in the distribution of electronic componets for over a third of a century and based in Italy’s fourth largest city, La Tecnika Due have expanded their activities from their home lands of Piedmont, through into Liguria, Valle d’Aosta and and are now engaged with customers all over Italy. This report covers the global machine to machine market on the basis of different types of technologies and industries. According to a new market research report “Machine-to-Machine (M2M) Connections Market by Technology (Wired, Wireless), Industry (Healthcare, Utilities, Retail, Consumer Electronics, Automotive & Transportation, Security & Surveillance, Others), and by Geography - Forecast to 2020”, the market size of global M2M connections is expected to reach $35.16 Billion by 2020, at a CAGR of 11.57% between 2015 and 2020. M2M is an abbreviation for machine-to-machine, or technology that supports wired or wireless communication between devices. M2M technology has evolved from telemetry which is a technology that allows the remote measurement and reporting of information of interest to the system operator. Supervisory Control And Data Acquisition (SCADA) systems are centralized systems that utilize telemetry to monitor and control remote facilities. ears ago the purpose of a brand was clear and simple. It provided a mark of trust and quality. In a market with counterfeits and snake-oil salesmen, the brand was a mark of reputation and guaranteed a certain level of performance. Unicorn companies – privately held tech start ups valued at more than $1billion – are becoming commonplace, it seems. It's a strange thing, because unicorns were so named because of their rarity. According to a list published by CB Insights, there are currently 131 unicorns, with a total value of $485bn. Top of the list is Uber, said to be worth $51bn, closely followed by Xiaomi, the Chinese hardware developer, at $46bn. At the other end of the scale are 38 companies with a valuation of $1bn. The recent spike of interest in all things to do with the Internet of Things masks the fact that this general move to improve connectivity between all kinds of 'things' has been slowly gathering momentum for at least 15 years. Originally, this technology was known as M2M – machine to machine – communications. When the concept of M2M first appeared, it often looked a technology ahead of its time, with issues surrounding cost, data rates and general applicability. But, slowly, M2M has gained ground. The sometimes blisteringly-inane hype surrounding the "Internet of Things" appears to be on a collision course with the sophomoric security standards being employed in the field. As we've seen time and time again, companies were so bedazzled by the idea of connecting everything and anything to the Internet (your hat! your pants! your toilet!) they left device and network security as an afterthought -- if they could be bothered to think about it at all. The result has been smart TVs that share your personal conversations, vehicles that can easily be used to kill you, and a home full of devices leaking your daily habits. Click the link below to view the Siretta website. Is the blurring of commercial and residential design an accident? That stark clean line, that mindfully day-lit expanse, that blend of stone, wood, glass, and metal that we've found new ways to warm and add drama to and engage with, directly or as a backdrop. Commercial design and architecture have taught residential spaces ways to eliminate the obvious to make room for the meaningful, like light, like flow of space, like physical and suggested linkages between in- and outdoors. We see almost daily announcements of new M2M projects and collaborations in the areas of industrial automation, logistics, Smart Grid, Smart Cities, health, defense etc. and Service Providers are keen to play an integral role in these projects – not just providing the connectivity portion but playing a larger role as orchestrator of the entire (or significant portions of the) delivery ecosystem. While there are already numerous successful M2M deployments and trials underway, there remain several known challenges in delivering more complex solutions. For the full article, see the link below. Are you in need of connecting with remote equipment, sensors, switches etc.? The challenge is often the “how”. If you are looking for ideas then Siretta’ can help. Take a look at the applications and case studies sections of the Siretta website to learn more. Siretta are pleased to announce the addition of Rapid Electronics to its burgeoning global channel network. Based in Colchester, Rapid is one of the UK’s leading distributors of electronic components, cables and connectors, electrical products, tools and educational resources. Rapid prides itself on offering customers an unrivalled choice of products, competitively priced and suitable for modern application requirements. Their extensive core stock of electronic components supports a wide range of customers in a number of market sectors. Siretta Launches Router Range of Products. Which route will you take? Siretta is pleased to announce its routeCONNECT range of products, a family of intelligent managed routers designed to connect remote Ethernet LAN to the internet and RS232 serial equipment over a TCP/IP connection to a central location. • To control and monitor remote equipment? • To set-up remote equipment to be interoperable with other devices? • To add cellular connectivity with little or no development work? • To have the security of VPN’s and Firewalls? • To have high speed remote web access? The machine-to-machine communications organization is only two years old, but it’s name already was starting to feel outdated as the “Internet of Things” became the buzzy term of choice to describe the space. Rather than fight it, the council found room to use both terms in its name. What if your industry had two nicknames and couldn’t decide between them? Click the link below to continue reading the article. As enterprises strive to innovate and reinvent themselves through digital transformation strategies, business processes are being reshaped, productivity gets redefined and customer experience is once again at the forefront. This new landscape is forcing leaders to address new challenges. As the world of machine communications is growing, it is vital that all M2M devices and applications have the greatest possible signal strength at all times. Last week we provided you with tips 3 and 4, today we share our final tip to ensure you are utilising the best 2G or 3G signal strength available. The Internet of Things (IoT) is something we’re hearing a lot about right now. It’s at the peak of the hype cycle. We’ve all seen the statistics: estimates of between 25 billion to 50 billion connected objects by 2020 (depending on who you listen to). That’s a thrilling prospect. A world where our entire physical environment has the ability to exchange data with the internet and other connected objects. They’re coming, and we won’t be able to stop them. But will they be friends or foes? What are we talking about? Internet of Things (IoT) devices. And, as with most things, the answer will depend on the details. Gartner predicts there will be approximately 5 billion such devices in use this year, growing to 25 billion (more than half of them consumer-focused) by 2020. As the world of machine communications is growing, it is vital that all M2M devices and applications have the greatest possible signal strength at all times. Last week we provided you with tips 1 and 2, today we share tips 3 and 4 to ensure you are utilising the best 2G or 3G signal strength available. Tip 3: Re-positioning the antenna. Want to read the full article? Click the link below. British semiconductor and software design company ARM has acquired Israel-based Sansa Security, a component provider for Internet of Things devices, to increase the capability of ARM’s security portfolio. ARM’s recent acquisition will provide hardware security IP and software for advanced system-on-chip components deployed in Internet of Things and mobile devices. As the world of machine communications is growing, it is vital that all M2M devices and applications have the greatest possible signal strength at all times. This week we provide you with the first 2 tips to ensure you are utilising the best 2G or 3G signal strength available. Tip 1: Check signal strength. Tip 2: Which network SIM to use? Researchers make SHODAN of the skies to probe internet-of-things! That's no drone. That's an aerial security scanning project! The project run by a team at the Texas-based firm Praetorian is being conducted in researchers' free time and hopes to explore the functionality and security integrity of internet-of-things devices operating on the popular ZigBee communications protocol. Standards are of course important, but it will take some time yet for standards to be universally adopted or any single/set of standards to become ubiquitous - if ever. In the meantime, which may well be a very long time solutions need to be deployed, services offered and real world problems solved. 101st Anniversary of the first traffic light installation! Today marks 101 years since the first traffic light was installed! This research industry expects the M2M satellite communication market to grow from USD 3.36 Billion in 2015 to USD 5.91 Billion by 2020, at a Compound Annual Growth Rate (CAGR) of 11.9% during the forecast period. To read more on the growth of M2M communication, click the link below. Systems are only as reliable as their weakest link and when it comes to M2M wireless - the weakest link is poor, intermittent signal strength. Low signal levels result in poor system performance, slow response times and reliability issues. For system installers and other M2M vendors, how do you ensure the very best 2G or 3G signal strength? Next week we will discuss tips 1 and 2! Can't wait until then? Click the link below for the full article. M2M connections increasing, but don’t call it IoT The market for M2M cellular modules and wireless terminals is predicted to grow dramatically over the next three years. The MR-Linac machine will be one of just seven in the world and can target hard-to-reach tumours with concentrated radiation treatment. A revolutionary machine that scans and kills cancer at the same time is to be tested on patients in Manchester. Choose high performance when designing your M2M application! Current M2M applications span across wireless technologies when it comes to delivering field based information. Click the link below to read more about the Echo 14. By 2025, Internet of things applications could have $11 trillion impact Plus, three hurdles your company must overcome before it sees IoT success. The Internet of things, the term used to describe the use of sensors and other Internet-connected devices to track and control physical objects, opens up entirely new ways of doing business. It’s now possible to track individual components and products as they travel on ships, planes, or trucks. How the hospitality industry is embracing the Internet of Things One industry that is capitalizing greatly from the Internet of Things is hospitality. There's no question that the Internet of Things can make an enterprise more efficient. The harmonizing of sensors, devices, and data harmonized into one system gives rise to context-aware computation and enables the environment to respond instantly to change, be it in temperature, light, movement or other factors. By all accounts, machine to machine (M2M) communications and the Internet of Things (IoT) are going to be a huge boom to the global economy. Securing cellular signal strength for demanding applications. Application written by Siretta. As more and more M2M applications demand cellular communications, it is often the case that the modem is the centre of focus, with less attention being paid to the antenna. Click the link to read the full Transport Communications application. The Government's technology arm, Innovate UK, has launched a competition to find the brightest 'Internet of Things' innovators - but at what risk to consumer privacy? Product Launch! SIRETTA LAUNCHES NEW INDUSTRIAL CELLUAR ROUTER RANGE. What does the Internet of Things mean for Children growing up? An article by Gemma Maroney Marketing Manager at VoIP and Solution IP. NEW!!!! SIRETTA LAUNCHES NEW INDUSTRIAL CELLUAR ROUTER RANGE. To complement our popular quikCONNECT range of modems, we have launched the new routeCONNECT range of 3G and 4G industrial cellular routers. The range comprises 3 styles of router; MICA – Compact, low cost 3/4G and WiFi router series, ZIRCON – Multi LAN input, 3/4G and WiFi router series, and QUARTZ – Top end 3/4G router series with I/O and dual sim capability. The series have many options available with a fully flexible firmware platform depending on customer requirement. Popular versions of the routers are available on short lead times. Want to find out more information? Follow the link below! Fuel depots serve haulage companies and the transport facilities of supermarkets, retailers, councils and many more establishments in providing round the clock centralised or strategically located fuel resources for the movement of goods and services across localities, countries and continents. NEW!!!! Siretta launches new antenna selector on antennas products page! Siretta products now available from Rejoin Telematics Siretta’s sales channel steps up a gear with the appointment of Rejoin Telematics AB in Sweden. Based in Örebro in central Sweden, Rejoin Telematics AB are the latest distributor to be appointed by Siretta. Although they were only established in 2010, Rejoin Telematics AB have already established a strong reputation in Sweden as a design-in, solution focused distributor. With existing M2M engagements in a variety of industries, including the automotive and communications sectors, Rejoin will have access to the entire Siretta product range including cellular modems, signal strength analysers, antennas and the Sensormetrix range of remote monitoring products. Ian McFadyen, Siretta’s Group Channel Director commented..
Traffic management systems deployed at road junctions, motorways and roundabouts traditionally use wired connections. Physical presence has therefore been required to configure and program the devices at the centre of key operations. Furthermore, sending engineering and maintenance personnel to the sites also add to the costs. Based out of Dusseldorf, Unitronic AG are part of the Lagercranz Group of companies and are a well-established technical focused distributor, with a strong reputation in wireless communications in the machine-to-machine world. As an authorised distributor for Siretta, Unitronic AG will have access to the full Siretta product offering – which includes antennas, modems and SNYPER-3G cellular signal tester. Quick and simple door entry over GPRS, 3G or the Internet with Siretta modems. Click the link below to read a case study on door entry systems. RF Wireless Event! 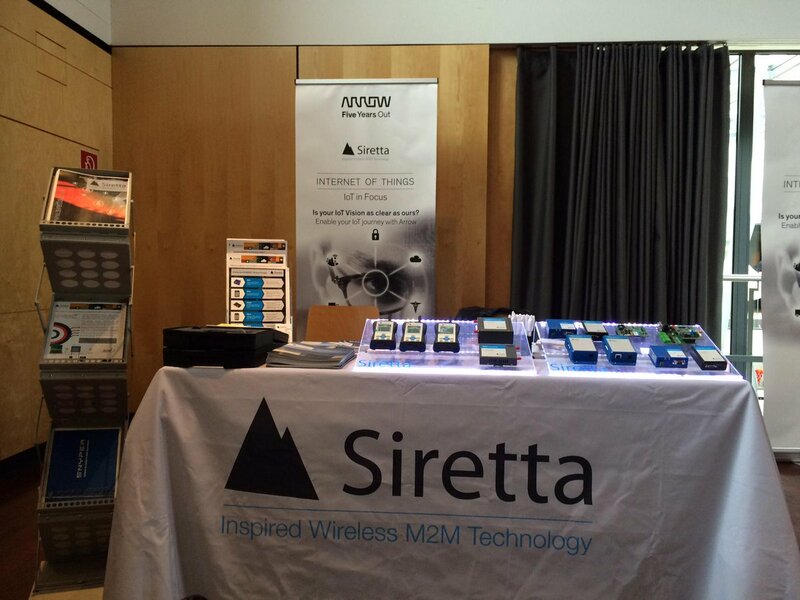 Siretta at RF Wireless Forum in Oxford Today! The internet of things is rapidly transforming businesses within the hospitality sector by adding value for end customers and for businesses alike. Apart from booking hotel rooms online, end customers can now enter their booked property at the touch of a button. Similarly, connected devices are helping businesses reduce operational expenses by saving energy and also adding even more value through mobile concierge. Siretta products now available from CPC. 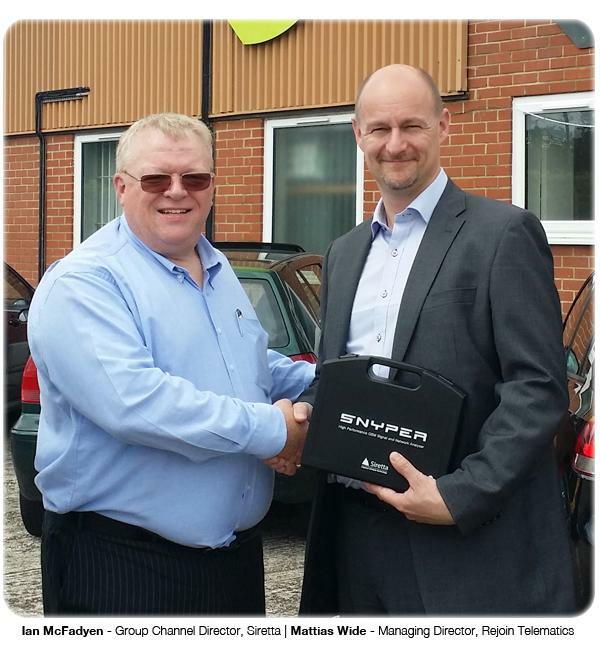 Siretta’s sales channel steps up a gear with the appointment of CPC as our latest distributor. CPC, the Preston based distributor, is Siretta’s first Pan-European distributor, offering a broad range of Siretta products including antennas, inter-series adaptors and SNYPER - the 3G cellular signal tester. Utilities metering is one of the largest and fastest growing Internet of Things (IoT) segments. It also has one of the fastest IoT adoption rates around the world. A growing number of utility service providers are using the IoT to save costs and to offer greater value to their end-customers. Connected meters allow real time monitoring of meters and hence put the end user in control of how much they use. New - Antenna Selector We've added an Antenna Selector to make it even easier to find the right antenna for your application. It's all about the IoT The 'Internet of Things' is growing in stature, but what's it all about? Essentially, it's about machines communicating with other machines/devices for lots of purposes. This could be to increase a business’ profits/performance, reduce costs, improve efficiencies etc in many applications where remote deployments need to communicate with central hubs or monitoring locations. Connect & Control in the Internet of Things Join the community that is moving into a new world, one where you can receive or access data from remote devices. IoT connected next generation secure door entry systems The Internet of Things (IoT) and Machine to Machine (M2M) communications are making big differences to businesses. Door entry systems or electronic access control systems are one of the biggest and rapidly growing market segments within the IoT industry. This is partly due to the increase in safety measures as a result of security concerns from elements such as terrorism and crime. The Internet of Things is rapidly changing how we conduct business. Businesses within the electronic access control industry are now seeing the benefits of secure and connected systems. Some of the benefits include better control through predictive maintenance as well as a significant reduction in operational costs as a result of reduced site visits. What is the Internet of Things (IoT)? Who, what, when, where, how? IoT and M2M Communications are making big differences to businesses. The Internet of Things (IoT) and Machine to Machine (M2M) communications are making big differences to businesses. One such market sector is Traffic as the recent Traffex & Parkex exhibitions demonstrated. Cellular communications provides the backbone for many of these companies. Now both the traffic & parking companies, and their customers, are seeing the benefits in performance, cost reductions & operational efficiencies. For parking companies M2M has seen them enjoy increased return on investment, improved field service deployment and better customer experience. Check out our short promotional video on the new Siretta SNYPER-3G signal analyser! The SNYPER-3G is a high performance cellular signal and network analyser for the 3G / UMTS and 2G / GPRS networks, with a host of important features for the busy engineer and installer. Building on our many years of signal tester experience, the new SNYPER range utilises the same design platform used in our advanced wireless terminals to provide market leading performance and functionality, at a highly competitive price. Click the link below to view it! Maximising your 3G signal reception Ever struggled pinpointing the best location for antenna installation? Ever wanted more than your mobile phone to check signal reception? Wish you could check all network operators quickly and easily? In combination with a suitable antenna such as the Siretta LiveScan antenna, you can easily pinpoint the direction of maximum 3G signal from all networks in an area - or – the direction of maximum signal from your chosen network provider. This user friendly solution will be of great benefit to all those installers who don’t want to spend time guessing where the best antenna position is. What is the Internet of Things (IoT) Lighthearted reading on what the IoT is about. A Vision for the Future If we want machines to think, we need to teach them to see. Internet of Things Here is an insightful article published in Wired on the Internet of Things(IoT). Internet of Things - IoT The Internet of Things is growing fast! Siretta's new website for the Internet of Things We are pleased to announce the launch of our new website featuring applications and solutions for the Internet of Things. Want the best cellular signal? Take the guess work out of installing wireless enabled equipment. Maximum antenna performance every time! Take the guess work out of installing wireless enabled equipment. Outdoor antenna connectivity has never been so easy! Connect anywhere with the Oscar 16 outdoor antenna. QuikConnect ZOOM Modems Data Connectivity for legacy equipment, and initial project development / evaluation. QuikConnect ZETA Modems Data connectivity with extra features allowing you to control or switch items at the remote location. QuikConnect ZEST Modems Cost optimized performer, providing data connectivity. Worldwide Data Communication Our cellular modems cover 2/3/4G GSM technologies for wireless data communication across the world. High performance whip antenna Finally! A high quality whip antenna with superior cellular performance. Alpha 18 GPRS / 3G Dipole antennas The Alpha 18 is a small, low profile, adhesive Quad Band and 3G horn antenna. Low loss RF cable assemblies Low loss RF cable assemblies help provide significant improvement over RG58. Enable wireless connectivity within your equipment, quickly and easily, and without the need for modem design expertise. The ZOOM series of embedded modems integrate directly into the heart of your application, with powerful features, simple physical mounting and a low installed cost. Just design your application around the ZOOM, choose from a range of interfaces including TTL, RS232 and USB, and get connected. With a common platform for the GPRS and 3G / UMTS networks, and 4G / LTE on its way, the ZOOM ensures a robust future proof solution for industrial M2M communications. WiFi - everything is going WiFi - driving a growing demand for antenna solutions. When will your equipment be WiFi enabled? Consult us for antenna choice and deployment. AVAILABILITY - from miniature embedded designs to rugged through-hole mounting, Siretta has the most extensive range of WiFi antennas. RF cable assemblies are a critical part of a wireless M2M design, but their vital role is often overlooked, or specifying left to the last minute. Wireless specialist Siretta recognise the importance of these key products, and how supply difficulties or lack of choice can delay new designs. With a recently enhanced portfolio, Siretta are now providing one of the widest ranges of RF cable assemblies, with highly competitive prices and ex stock availability. If you’re developing professional wireless systems, then achieving an excellent technical performance can be just part of the challenge. Ensuring your solution has the reliability and longevity required, over a range of demanding installation sites, is likely to be equally critical. The ZETA series of wireless terminals, from specialist manufacturer Siretta, offer an ideal combination of exceptional M2M performance, with an enviable reputation for robust reliable service in public space and infrastructure applications. GPS has come a long way since its earliest inception in military applications. Now a mainstay for navigation, surveying and mapping, this unique technology - GPS, Glonass - and soon Gallileo and Compass, is being adopted by more and more applications every day. Location based services in almost everything ensure that the GNSS industry will continue growing at a rapid rate. Antenna placement is not always as straightforward as it seems. Finding that optimum position can be the difference between a functioning system with good signal strength, and a frustrating battle with patchy reception. If you’re unsure where that ideal location is then you need a product with placement flexibility, and stable semi-permanent mounting. What better solution than the Mike series of high performance antennas from Siretta, featuring magnetic bases for simple installation and placement on most metal surfaces. Bringing wireless technology to your business can offer a real leap forward in delivering functionality and efficiency savings, particularly when working with remote devices and equipment. Making this change quickly, without the need for modem design expertise can be equally important. Wireless specialist Siretta is taking the hard work out of this process with the ZOOM series of advanced wireless modems, fully developed, tested and ready to integrate into your equipment, with a low overall cost. If you’re looking for a discreet antenna with mounting convenience then the Alpha range from Siretta is hard to beat. With a slim profile and simple self-adhesive fixing, this product will fit into so many tight spaces that you may find yourself forgetting where you installed it. A wide range of styles and shapes give an excellent choice for most applications, and there’s nothing flaky about the mounting security, the strong self-adhesive layer means this product is going nowhere fast. Today’s world wants fast and efficient communication, with instant access to data….is your equipment getting connected? Wireless machine to machine (M2M) connection is powerful and enabling, allowing remote equipment and devices to communicate as if they were physically connected together. The potential gains in efficiency are vast, and applications in many ways limited only by the imagination. Demanding situations need products that won’t let you down, products that will take whatever life throws at them. Enter the Tango family of compact antennas from wireless specialist Siretta, with secure through hole mounting and seriously tough exteriors. Easily mounted to panels and casings, the Tango range is ideal where an unobtrusive solution is required, and options for environmental protection and vandal resistance ensure it will take care of itself.